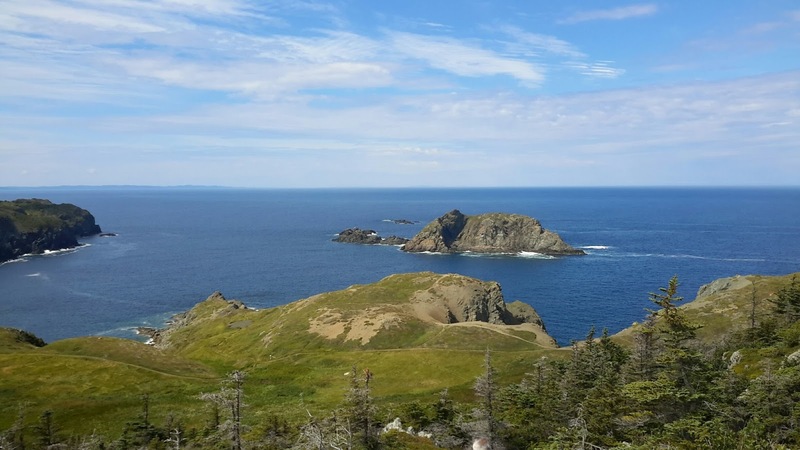 We are back from our vacation in Newfoundland. What an adventure! We had two intense weeks, with almost no shopping, no snobbery, no stress, just magnificent scenery, wonderfully open and funny people (Every single one seems to have a story) and the best fish and chips in the world. We all need unscripted moments to keep ourselves on track. It came at the right time. We were dead-tired after a hike on the coast (note to self: do NOT wear spangled sandals the next time) when I spotted it in the garden area of our small hotel. It seemed so soothing and restful to me. I couldn’t steal it and put it in my suitcase (I wouldn’t! ), but I can keep that idea and the notion that we need rest, soothing sports and relaxation to inspire us. That goes for all of us, not just writers. 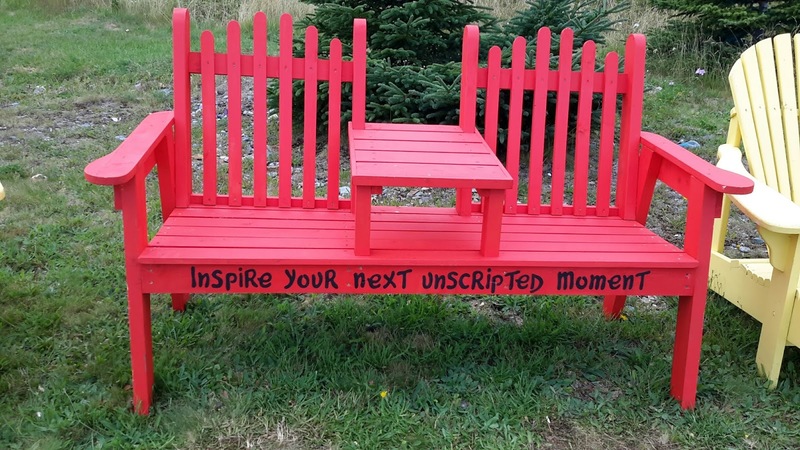 What inspires your unscripted moments in a garden or elsewhere? Share the wealth! We all need more 'unscriptedness" in our lives. 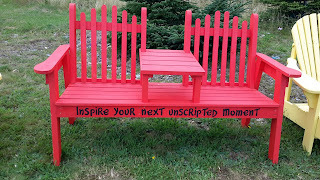 I think I’ll try to find a bench like this and stencil an inspiring saying on it. Or maybe I can inspire someone else to do it. Hmm.iVictoria Maffini? Where are you? I am looking forward to hearing about your inspirations or anything else today. 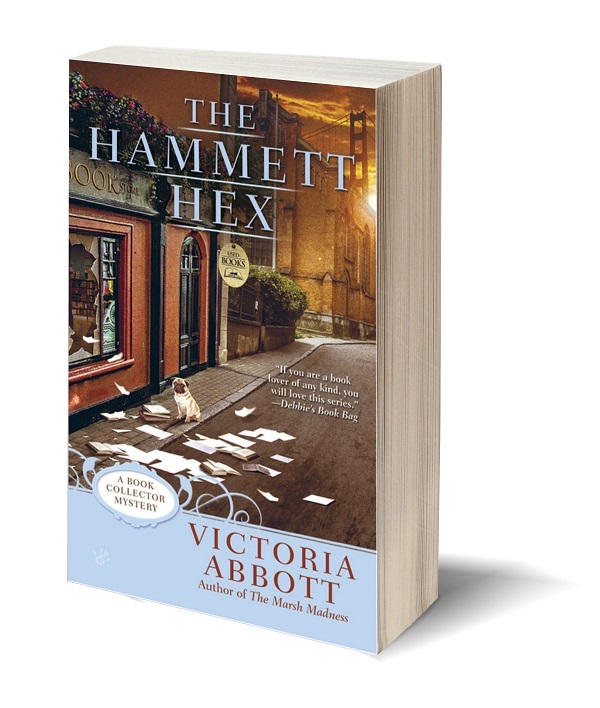 Because, with just five weeks to go, I have to be beating the bushes for The Hammett Hex. But first, another unscripted moment with a cup of tea in the back yard. Don't tell anyone.